_There are many different ways to build with earth, and each of these methods have their own charm, virtues and vices. Here is presented a short introduction of the most common techniques. __ Cob is probably the easiest technique to use. 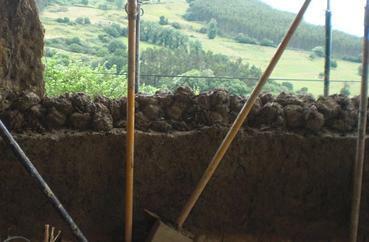 It consists of piling up some earth “balls” to create a wall or any sort of structure. The balls are composed of clayey soil and straw, once the earth is wet and sticky it can be shaped into balls and used to create a monolithic structure. 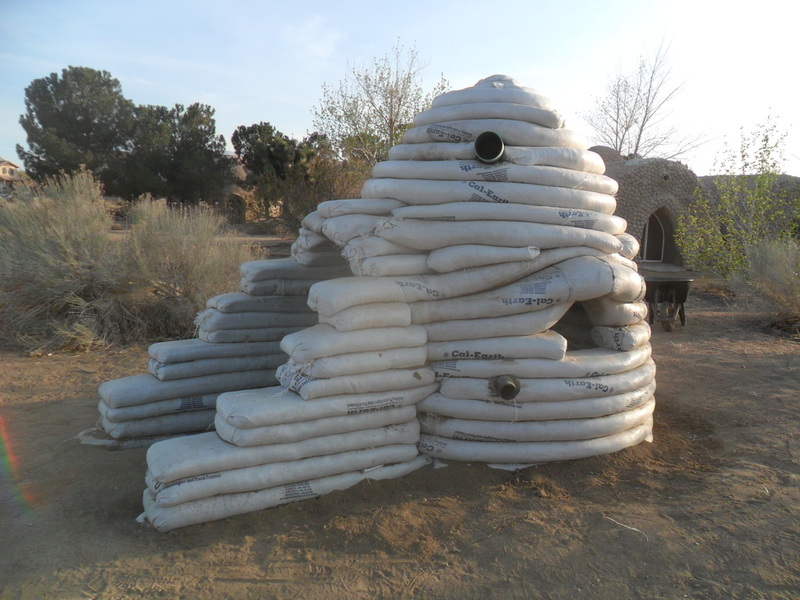 This technique gives the builder a lot of creative freedom, this is the reason why people call a cob house a “sculpted house”. The earth needs to contain between 15% to 25% clay and 75% to 85% aggregates such as sand and gravel. This technique consists of putting slightly wet earth into rectangular forms usually made of wood. The width of the form defines the width of the wall. The earth is then tamped to make it very compact and strong in the shape of the form. The form then is removed and reused to build another portion of wall. Since the forms are most of the time made of straight lumber or metal the wall are straight. In order to have a curved wall it is necessary to build a curved form. The optimal percentage of clay is around 10% - 15%. There are many examples of this type of houses built at the end of the 19th century, in France and in the north-west part of Italy. Adobe is the name given to an earth unfired brick. 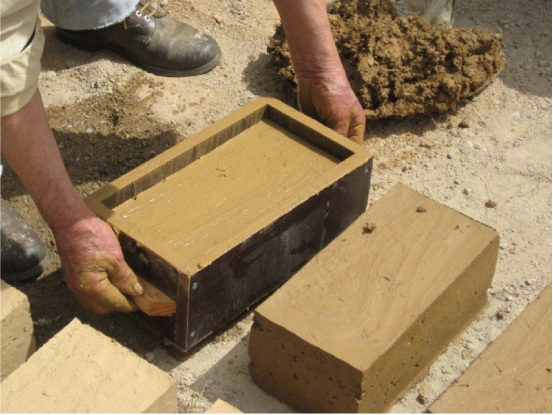 A mixture of wet earth and sand is put in a brick size form. 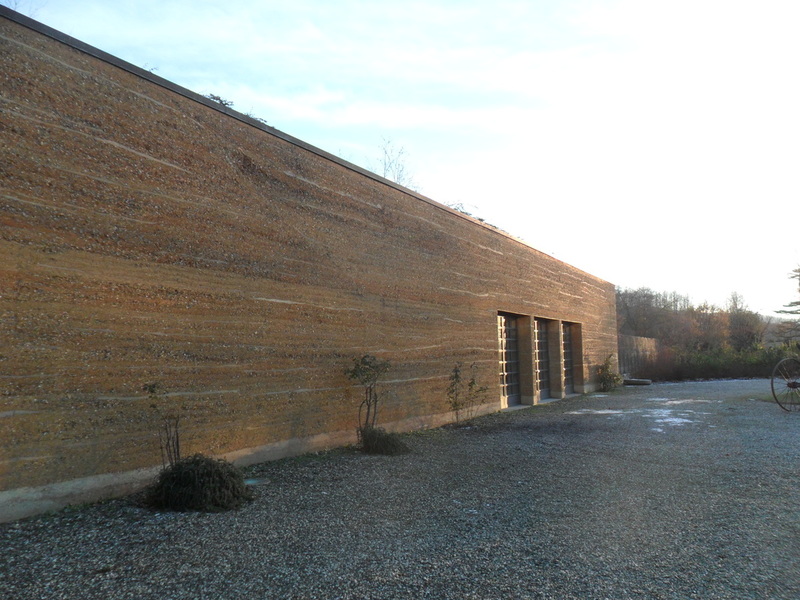 After the form is removed, the earth brick needs to dry for several weeks before using it. The adobe then is used like a standard fired brick but instead of using cement for the joints an elastic mix of clayey earth is used. This technique is still in use in many parts of the world. In Italy , and especially in Sardinia island, there are many old houses built with adobe. Superadobe is a recent technique invented by the Iranian architect Nader Khalili. The earth is put into bags or tubes of polypropylene or jute. As the bag is filled it is laid down and tamped. By piling up the bags the wall is created. Between rows a strand of barbed wire is placed in order to create friction between bags and to give tensile strength to the wall. The bag acts as a flexible form allowing the builder to create curved or straight walls. This technique is particularly suited for building domes. The domes built by Nader Khalili at the Cal-Earth Institute passed California's high seismic building codes by 300%, making these domes not only earthquake proof but also resistant to fire, floods and hurricanes.